Depression is one of the most common mental disorders affecting humans. It can affect anyone of any age and if not treated early, it can advance into its severe form. Depression comes with physical disorders and stressful life events experienced by an individual and it can remain for quite some time if untreated. However, depression manifests differently in older adults and it can be quite challenging to identify it. This is because; depressed adults generally show they are stressed or sad but they do complain about feeling less energized and other age-related symptoms. This makes it a lot trickier for you, the doctor, and the senior himself/herself to identify depression. According to the health professionals at Halo Health Care, age-related illnesses and certain medications are the root cause of depression in older adults. Or worse, it can complicate the matter, making it difficult for you and your loved one to know when to get the necessary help. So it is extremely important that you keep a tab on every aspect of your loved one’s life and monitor his/her health both physical and mental in order to determine if he/she is showing any symptoms. You need to be wary of the illnesses they are experiencing at this stage of their lives as anything can trigger depression at this. Insomnia is the primary cause of depression in the older adults that can reoccur. Experts believe that completely avoiding or reducing the use of benzodiazepines like Xanax, Klonopin, and Ativan can reduce insomnia to an extent. The mentioned drugs including certain ‘hypnotic’ drugs can lead to falls, respiratory depression, and impaired attentiveness. As said, depression in seniors often goes untreated, as the signs are not clearly visible. And if the signs are shown, it is overlooked and passed off as a sign of aging. However, the case of depression in seniors is less common as compared to depression in younger adults. Health professionals say that the general physicians often fail to discuss the matters of mental health with senior patients. So it is extremely important to ask the general physician to examine your loved both mentally and physically so that necessary steps could be taken with immediate effect before it is too late. Older adults don’t show the signs of depression directly. They are displayed in other manners including. The primary cause of depression in older adults is generally thought to be a combination of a string of factors and potentials working together. However, there are certain factors that can trigger late-life depression. 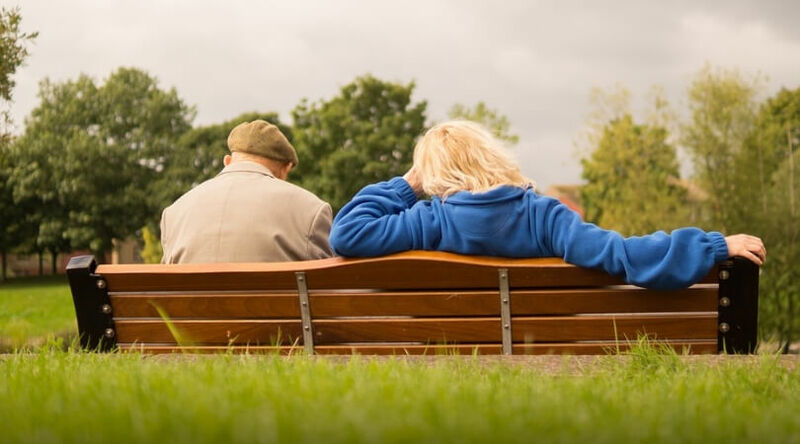 Environmental- the worried and traumas that come with later life like loss of a loved one (long-time partner or friend maybe), may trigger depression in older adults. Moreover, seniors who have depression experience isolation. Financial concerns and troubles or not being able to help a friend or a loved one may also trigger late-life depression. Physical- as discussed, illnesses experienced in later life like heart disease, arthritis, and Parkinson’s disease can contribute to the development of depression. Moreover, seniors, who have had experienced depression in their younger age are at a greater risk of experiencing depression. Genetic- people of all ages experience depression in one or other way. Seniors who have relatives suffering from the same condition are prone to experiencing one. To find out if someone from your family has any past experience with depression. So, take care of your elders and help them in fighting depression by keeping them happy.